We've reached the end of the spring graduation season, and we hope that if you spent some time watching a child or other loved one complete their matriculation, you were sufficiently entertained. Garry Trudeau, the creator of the comic strip Doonesbury, once said commencement speeches "were invented largely in the belief that outgoing college students should never be released into the world until they have been properly sedated." We can't all be so lucky as the 2011 University of Vermont graduates who had Billie Jean King hit tennis balls into the crowd while Elton John's "Philadelphia Freedom" played, or even the 2009 Tulane grads who were told by comedian Ellen DeGeneres, "Follow your passion. Stay true to yourself. Never follow someone else's path unless you're in the woods and you're lost and you see a path. By all means, you should follow that." Good advice for all, particularly the class of 2016, which many believe is part of "Generation Z," the generation after the Millennials. In a recent study, Robert Half International placed kids born from 1978 to 1989 in the Gen Y/Millennials, making those born from the 1990s on in Gen Z. The Gen Z crowd is important because in just 4Ys, Robert Half says Gen Z will make up 20% of the total workforce. Beware everyone, because Gen Z is more digital than Millennials and this group was raised in an era of economic uncertainty. As such, Gen Z desires more financial and workplace security than Gen Y, says Bruce Tulgan, founder of Rainmaker Thinking and an expert cited by the firm. "They're used to change and weather it well, but they're more cautious about navigating it," he says. The Robert Half survey also revealed that 77% of Gen Z expected to work harder than previous generations in order to have a satisfying career. Only 6% said they won't have to work as hard. On average, Gen Z also expects to work for 4 companies in their lifetimes and 64% cite collaboration with a small group in an office as their preferred work environment. They would rather work in these small groups than off-site, autonomously or as part of a virtual team. Of interest, despite being digital natives and perhaps the most digitally advanced generation, a majority of Gen Z say they prefer to communicate face-to-face at work, versus text, instant message, email or social media. Gen Z also has ambition. Here, career opportunities and generous pay rank #1 and #2, respectively, on the list of considerations in pursuing a full-time job. Meanwhile, survey respondents say they expect to make an average of $46,779 at their first job out of college. Refreshingly for community bankers, perhaps, 41% say their ideal employer is a midsize business or organization, followed by a large organization at 38%. What does all this mean when it comes time to have Gen Z in the workplace and how best to hire them for your community bank? The Robert Half study says that from the day you start recruiting them, you should be looking at retention as well. Keys include a highly engaged hiring process that incorporates examples of personal and corporate integrity in the conversation, and shows opportunities for advancement at the bank. Finally, similar to Millennials, Gen Z workers want to feel valued. Tulgan says a young worker he spoke to was taken aside in their workplace and told "Cool your jets. You seem too enthusiastic. It makes you seem immature. Don't you realize? Nobody takes you seriously until you've been here for a couple of years." The worker told Tulgan, "I thought it was so weird they thought I would stay some place for a couple of years where no one was taking me seriously." 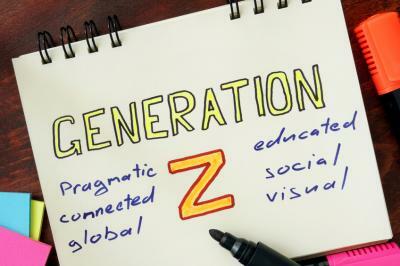 Gen Z may be on a slightly different path than their predecessor generations, but employers who can understand and adapt stand to benefit over the longer term. Bet's that the Brexit vote will result in a "stay", coupled with positive US jobless claims data, boosted yields 6bps. The remaining FOMC schedule for this year is Jul 27, Sep 21, Nov 2 and Dec 14 for potential rate hikes. Best guess right now is Sep and Dec, but lots of things still in motion so will have to watch and wait to see. M&A will continue to drag for now, as bank stocks struggle to find upward support (so more sellers are demanding cash vs. equity). Issues negatively impacting banks stocks include a choppy global environment, slow rate movement by the Fed, negative yields in Germany and Japan, and a variety of other wild cards still in play. Bank of America has agreed to pay $415mm to settle SEC claims against Merrill Lynch that the brokerage firm misused customer cash to generate additional profits for itself. A study by the Travel Association finds that from 1976 to 2000, full-time workers in the US took an average of 20.3 annual vacation days. However, beginning in 2000, vacation use declined steadily and has now fallen to an average of 16.2 days per year. The Travel Association research finds that rather than tracking economic environments, employee time off habits actually "closely track trends in technology innovation and adoption," and that "the greater the spread and use of new technologies, the less time off Americans take."